Vitamins are essential for good health. However, they are not produced in our bodies and so we need to get them through the food we consume. While a balanced diet usually provides our required vitamin quota, ageing and this modern lifestyle of ours often causes a deficiency of the necessary vitamins and minerals. And that is where supplements come into the picture. Most younger adults still tend to manage without supplementing their diet with vitamins and minerals but older adults increasingly face many difficulties in maintaining appropriate levels of nutrients. Also those who have chronic health conditions or take certain medications may find that their body's absorption levels of certain vitamins has reduced which is why they are often prescribed vitamins by their doctor. While most of these vitamins can be found in common food sources, not all get absorbed by our bodies (especially in older adults and those with certain medical conditions). Pregnant and breastfeeding women and those on vegetarian or vegan diet may also need additional vitamins and minerals. Ageing also necessitates the consumption of supplements. And with so many different brands of vitamins on the market, how do you decide which one to choose. 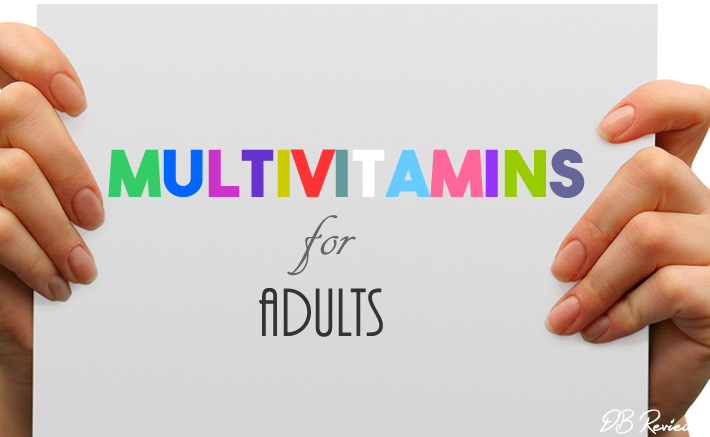 Not everyone needs multivitamins but there are equally a large number who need to take a multi-vitamin each day. While it is advisable to consult your GP before taking any supplements, I have rounded up 3 different multivitamins that are suitable for adults. Garden of Life (America’s No. 1 Nutrition Brand in the Health Foods channel) recently launched their bestselling range of supplements in the UK. Garden of Life, who offer premium quality whole food products that are Certified USDA Organic), have a range that includes a wide array of vitamins, probiotics and plant based protein supplements to name a few. Some of their popular offerings are mykind Organics vitamins and the Microbiome Formulas with live bacteria. Garden of Life's mykind Organics range includes two multi-vitamins targeted at men and women over 40. These supplements are delivered in tablet form and are made without the use of standard binders and chemical fillers that is usually used for tablet manufacturing. What is special about these tablets is that they are made using only food ingredients - as such they have been patented as Clean Tablet TechnologyTM. The mykind Organics Women’s Multi 40+ (as the name suggests) has been developed for women over 40 years. It is made with over 30 organic fruits, vegetables and herbs with just two tablets a day providing 20 essential vitamins and minerals. In addition to the main minerals the tablets contains organic black cohosh (eases menopausal symptoms), organic tomato (helps with hot flushes experienced with the menopause) and organic turmeric (to help combat the effects of oestrogen imbalance). The tablets are spot-on for women in their 40s. The mykind Organics Men’s Multi 40+ is also made from over 30 organic fruits, vegetables and herbs, such as lemons, apples, basil, red cabbage, celery and tomatoes. The tablets are said to provide men with 20 vitamins and minerals, with 16 greater than 100% of the daily RI (reference intake) for men over 40. The tablets include vitamin B-12 for extra energy, folate and manganese for prostate health, chromium for healthy metabolism and a certified organic pomegranate, pumpkin, turmeric and tomato blend that provides prostate and heart support. Men's Ultivite 50+ Multivitamin and Women's Ultivite 50+ Multivitamin. The Swisse Multivitamins for Men 50+ helps to support energy production & release. Vitamins B1, B2, B3, B5, B6, biotin, Vitamin C, magnesium and iron contribute to normal energy production and release while Vitamin C and Vitamin D contribute to the normal function of the immune system. The supplements also aids cognitive function (Zinc, iodine and iron) while Vitamin B1 to support normal heart function. The Swisse Multivitamins for Women 50+ also contains a scientifically supported blend of vitamins and minerals. Vitamin B6 contributes to the regulation of hormonal activity while Calcium, Vitamin D and Vitamin K contribute to the maintenance of normal bones (very important as women are more at risk of developing osteoporosis). Vitamins B1, B2, B3, B5, B6, biotin, Vitamin C, magnesium and iron contribute to normal energy production and release. The men's multivitamin VitaGummies come in a delicious lemon, raspberry and blueberry flavour while the women's version has a nice orange, lemon and blueberry flavours. Both the gummies are so easy to consume – with no need for water and no issues of swallowing difficulties. The men's multivitamin includes Vitamins D3, E, C, B12 and B6 in addition to Niacin, Folic Acid, Biotin, Zinc, Selenium, Chromium, Iodine, Boron and Inositol. The women’s multivitamin includes Vitamins A, B6, B12, C, D3 and E along with Niacin, Folic Acid, Biotin, Zinc, Chromium and Iodine. Disclaimer: Supplements and vitamins should not be used as a substitute for a varied and balanced diet and a healthy lifestyle. Please consult your GP if you have any concerns before starting on any supplements. Thank you to all the brands who worked with me in creating this post.